In honor of National Volunteer Week, The Land Conservancy and30 local high school students are working together tomorrow to improve the Brower Lake Nature Preserve on Saturday. 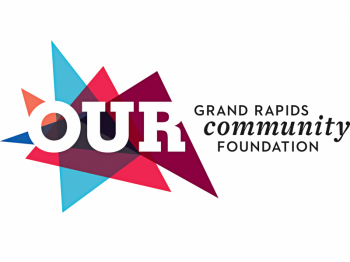 On Saturday April 16th, 30 teen volunteers with the Grand Rapids Community Foundation's Youth Grant Committee (YGC) will be tackling a trail-realignment project at the Land Conservancy of West Michigan's Brower Lake Nature Preserve in Rockford. The project, arranged in connection with the Volunteer Center GR, was planned to coincide with National Volunteer Week, April 10th-16th. The project will enable the Land Conservancy to make much-needed changes to the eroding trail landscape of the Brower Lake Preserve, one of 13 preserves and nearly 7,000 acres the organization oversees. The YGC members participating in this event will get their hands dirty raking and transporting fill dirt and topsoil to reduce erosion on a large hill at the nature preserve. Winter sledding on this hill, in addition to pedestrian trail use and stormwater slope runoff, has caused erosion which now hinders the natural landscape. With the help of the YGC an eroded trail will be re-routed and native plants and trees will be planted to stabilize the damaged hill. 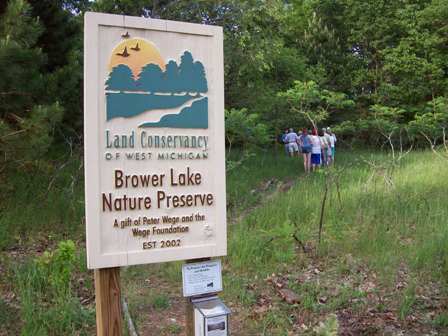 $500 of grant funding from the Michigan Community Service Commission allocated for this project enabled the Land Conservancy to purchase supplies for the project, including an erosion blanket, and native plants and shrubs to repopulate the landscape. Working together, the Land Conservancy of West Michigan, Grand Rapids Community Foundation, and Heart of West Michigan United Way’s Volunteer Center offer opportunities for high school students to increase their community involvement and environmental knowledge.